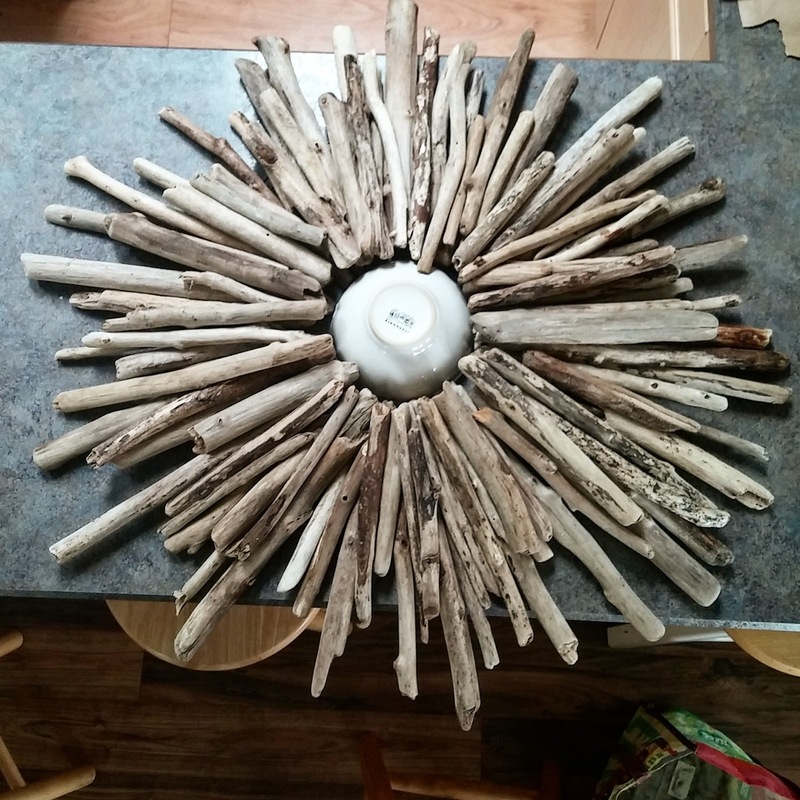 I got the idea in my head to make my own driftwood wreath after pricing a few for sale on the internet. They can be hundreds of dollars. I can see, after making my own, why they are so expensive. They take time and some skill. 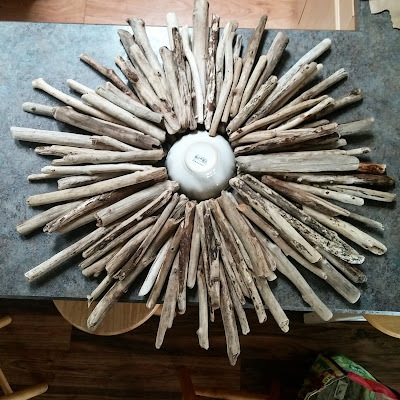 Let's get started and talk about some of the basic items you will need to make your Driftwood Wreath. FRAME: My frame was 18inches. I wanted it to be BIG. I ordered a wire frame from Joann's Fabric and I used this for my base. I had no idea how to attach the wood to the metal frame. 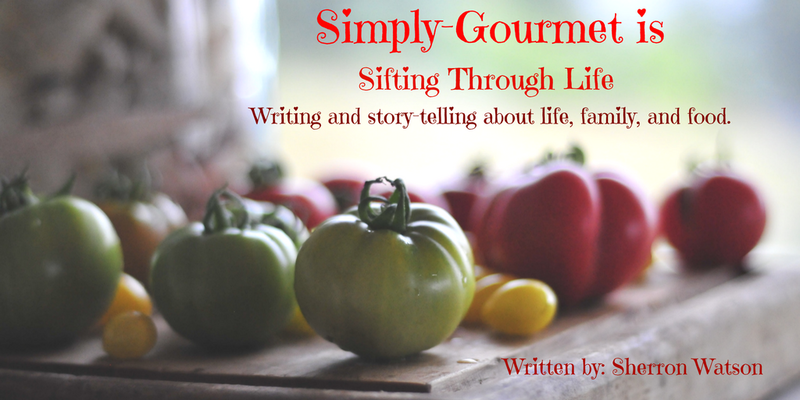 I watched a few youtube videos to get some ideas of how I should work with these two elements. I concluded that I would wire my first row of driftwood to the metal frame. GLUE: They recommended I use E6000 glue. This suggestion was great. This is an epoxy and its super strong. It has to cure so it won't be a quick project. WIRE: I've recommend the glue now lets talk about the wire. You want a gauge that is easy for you to work with but also strong enough to hold the wood on the metal frame. Too thin and they will break and too thick and it will be hard to thread around and secure. I worked with small pieces of wire. 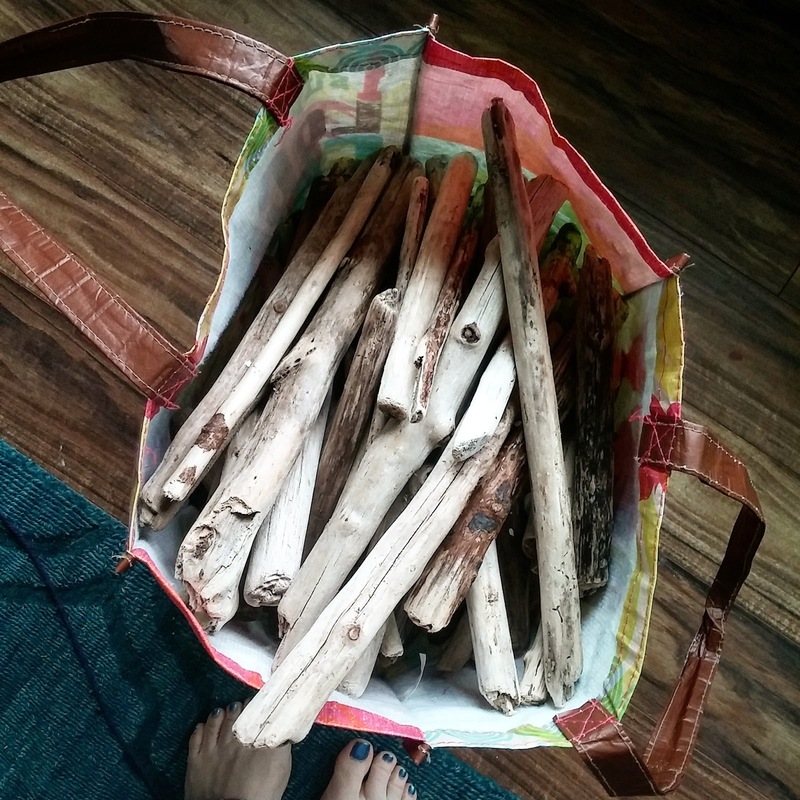 I would secure the wire to the metal frame and wrap around the piece of driftwood and then attach two or three pieces; secure and repeat, until your first row is attached to the metal frame. DRIFTWOOD: Collect as much as you can and more than you think. Get all types of lengths and thicknesses. This makes the wreath more random. I have seen them with all the same length and thickness but that is not the look I was shooting for. Below you will find a look into one of my three bags (below). 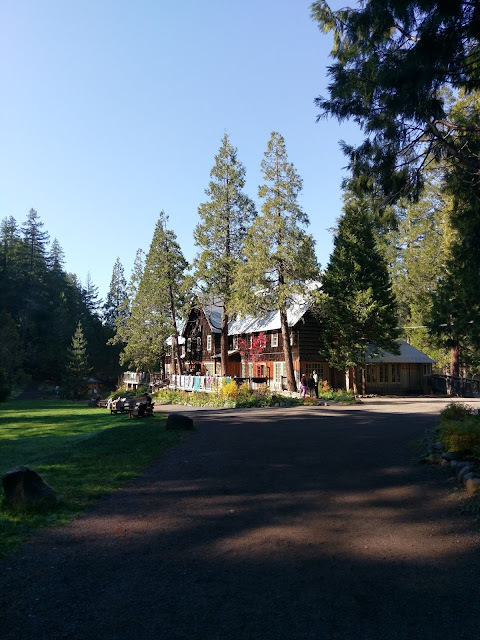 This project took me 3 weeks to complete for several reasons. One, I didn't collect enough driftwood. I thought I did but I didn't and had to actually go back two different times. COLLECT A LOT OF driftwood. More than you think you will need. Secondly, the glue has to cure. They recommend 24 hours but highly encourage 72 for the best results. Thirdly, time is key. It takes time to place and match each piece to where it will look the best. Imagine a 3D puzzle. This is it. 2. E6000 glue and time to cure. Solid base. Wire for securing first row. 3. Time to place each piece perfectly. I chose to work my wreath into a starburst. I decided on two rows. I wanted this to have large and small pieces. Thick and thin pieces too. I liked the diversity when it was all said and done. 1. Something to use as a base. I used this metal frame. (Not an ad, just a reference for what I used). 2. Glue. I used E6000 glue. 7. A large table to keep project up for the time you need it. This is not necessary, but I made a mock wreath first (see picture above). 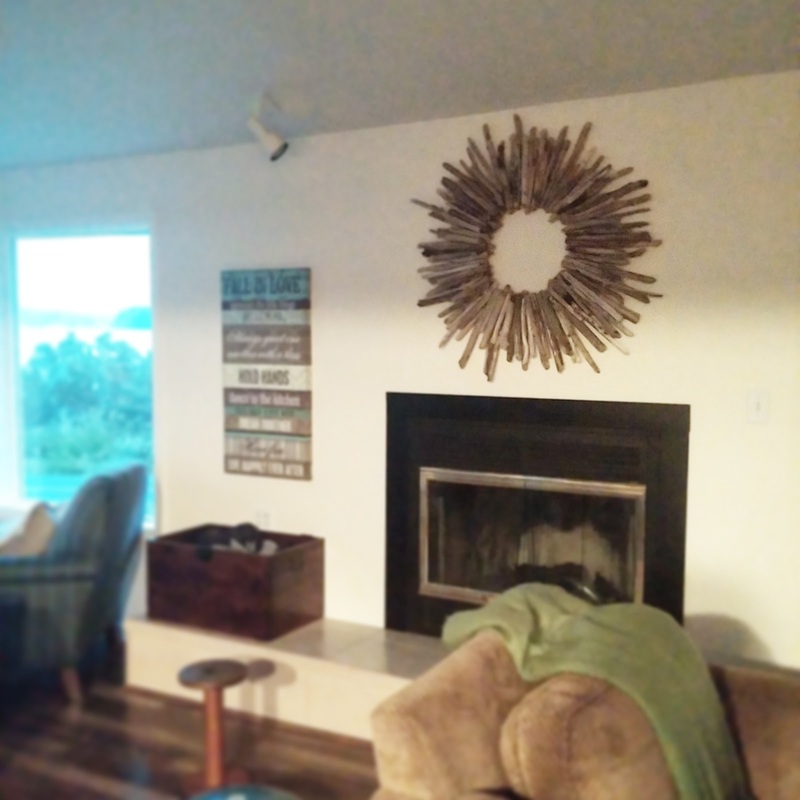 I wanted to make sure that my idea would work and translate to a beautiful driftwood wreath. My initial thought was that my center would be small. I used this bowl to keep the hole round and small. This is why I needed a lot more driftwood. After the fact, I made the center much larger (see above picture). This is something you want to think about too. The first step is attaching the first row with short strips of wire and working with 2-3 pieces of driftwood at a time. 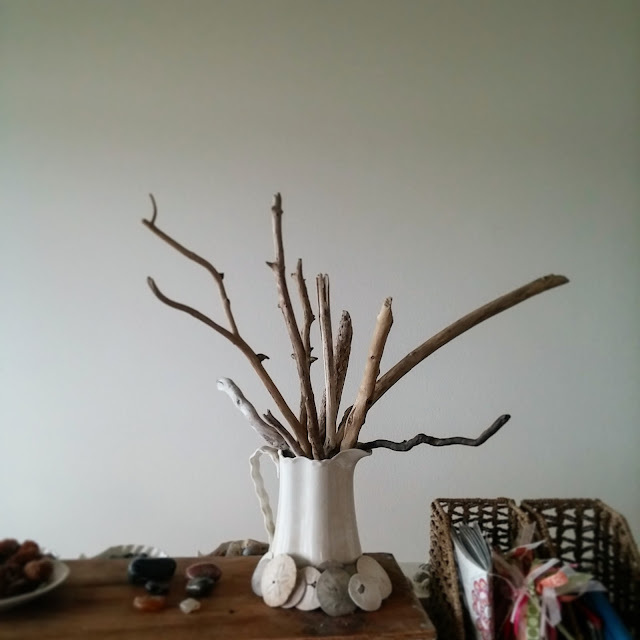 I tried more but felt the driftwood shifted too much. Find what works best for you. I would secure the wire to the metal frame and wrap around the piece of driftwood and then attach two or three pieces and then secure and repeat until my first row was on the metal frame. Once you have secured the first row you can start glueing the second row onto the initial row of driftwood. Place a few and then glue. Remember: the E6000 glue does not stick right away. It has to cure. If you glue and then lift the wreath, before it cures and securely holds the wood together, it will all fall off. 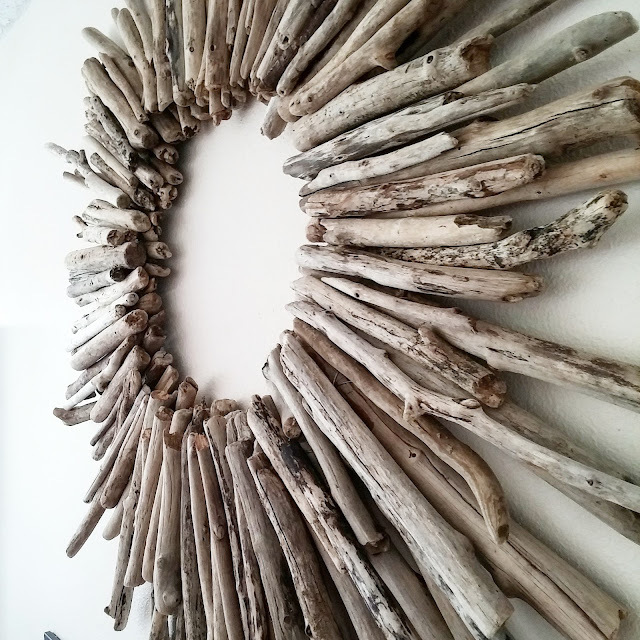 Use the small thin pieces of driftwood to fill in any gaps, holes, or to hide any wire that might be seen from the front. Finally, let your wreath cure for a few days. This wreath will be very very heavy. To place on your wall you need to make sure that what is holding it, can handle the weight. I attached a sheet rock thingy and so far so good. I love mine and I hope you will enjoy yours too. 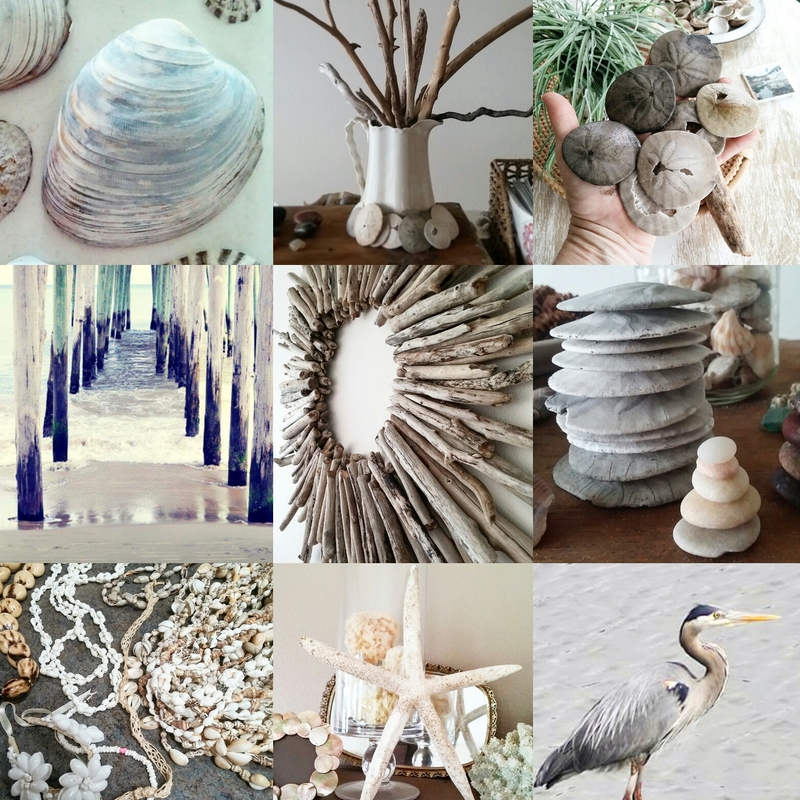 Of course, any driftwood you have extra, use to decorate in other ways. I have several driftwood vases around my home.